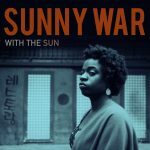 “It seems that wherever Sunny War focuses her musical talents,” She Shreds writes, “she reveals the good that can come from being true to oneself.” The site explores the Nashville-born, LA-based artist’s development as a guitarist and songwriter, including candid statements from War about growing up as a street kid and finding sobriety. Check out the full feature here. 09/12 – Pearl Street Live – Washington D.C.